There were a lot of fancy products at CES, but these three could fit right into daily life. The recent Consumer Electronic Show in Las Vegas had never-ending ads for Alexa and Hey Google. After getting past the voice assistant technology, I took seemingly endless steps to find some cool and useful gear. What got my attention was something I could use now in my daily life. Although the massage chairs were great, I don’t expect to see one in my home anytime soon. Every year someone asks me to name the coolest item I saw at the show. Well, it’s hard to narrow it down to just one so here are a few that I liked and, hopefully, you will, too. If I was forced to pick one single item, it’s the Crosley Mini Turntable ($70; find out more at crosleyradio.com) and when I say mini, it’s mini. 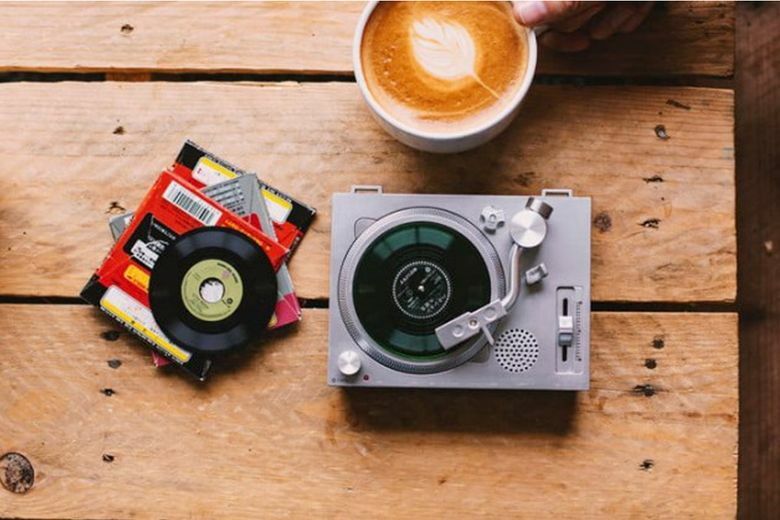 It easily fits in the palm of your hand to play 3-inch records and is powered by 4 AA batteries. The gadget is the official turntable for this year’s Record Store Day on April 13, and it will be available at select, participating independent record stores. The Mini features pitch control, a moving magnet cartridge, an output port to connect your own speaker and a built-in stereo speaker. Initially, 3-inch records will be sold from Third Man and Epitaph, with more records to come. 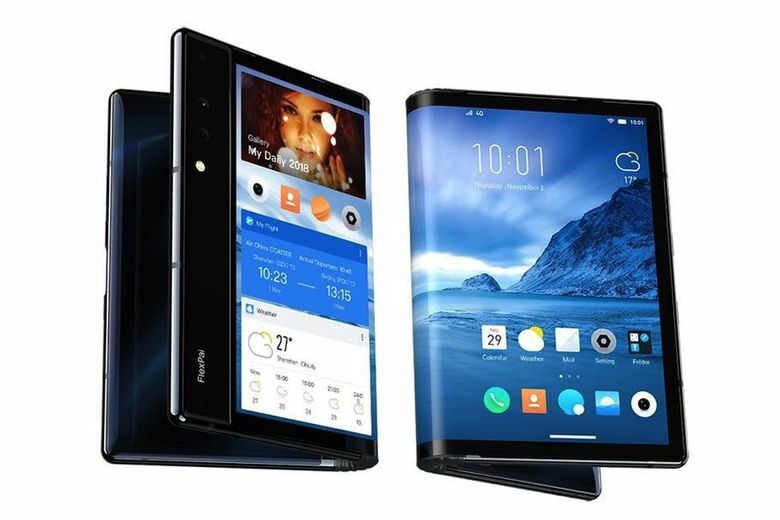 Royole introduced the FlexPai, which they touted as the world’s first commercial foldable smartphone. And yes, it really folds in half, with a fully flexible display that can be folded when in use or for storage. Either way, the combination mobile phone and tablet caught my attention and many others’, judging by the crowd in the Royole Corporation show floor display. Using it folded or open is a matter of choice; either way, you get the full features of both, which are based on Royole’s Flexible+ platform. That easily integrates the FlexPai into a variety of products and applications across numerous industries. It features high-resolution and high-color saturation for stunning image clarity and quality. Inside sensors are fully compatible with flexible and traditional applications and deliver a bending radius of just 1-3mm. Royole twisted and tested the tension upwards of 200,000 bends, way more than the few I gave it. When unfolded, FlexPai supports split-screen mode and multitasking. You can use supported drag-and-drop across applications and share features just as a computer does. When you fold or open it, the screen automatically adjusts for any app, including gaming and videos. Its unique Water OS will instantly adjust to any viewing mode for different folding angles and user scenarios, such as taking photos, office usage, video watching, gaming and more. For photos, the dual-view camera mode uses the built-in 20-megapixel telephoto lens, and a 16-megapixel wide-angle lens for photos or a selfie. With a USB-C charging connection, speeds increase 40 percent. Other features include fingerprint ID, expandable storage with MicroSD and stereo speakers. 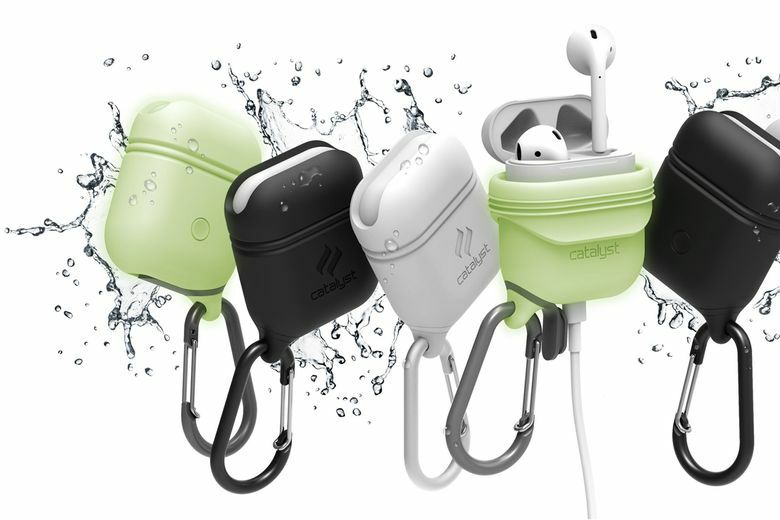 If you’re an Apple AirPods user, Catalyst’s Waterproof Case for AirPods ($25 at catalystcase.com) is small, simple, inexpensive and incredibly handy. The case is claimed to be the world’s first, with full protection including a waterproof silicone seal to protect the case in up to 3.3 feet of water. It’s been drop- and shock-tested with military standards up to 4 feet and includes a detachable carabiner for taking the expensive earpieces anywhere, worry free. The case allows charging with an easy access opening to the Lightning port, and a detachable carabiner can hook to a belt, bag or purse.